The American Academy of Dermatology and SCARS Center skin cancer specialists highly recommend at home skin examinations be performed on a monthly basis. Taking regular inventory of marks, freckles, and moles on the face and body will help you identify changes and new lesions more quickly, allowing you the opportunity to seek the advice of a specialist the moment you see something suspicious. Skin cancer can present itself in many ways. It can appear rough and scaly, it can look like a dark mark or mole, or it can look like a small red bump. The physical appearances are almost limitless. Your first step in learning how to perform an at home skin exam, is learning the warning signs of skin cancer. These are referred to as the ABCDEs of Melanoma. If any marks on the body are represented in this list, call a dermatologist to schedule a professional evaluation. 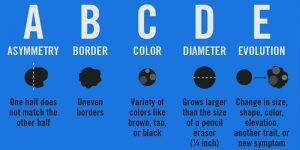 It is important to remember that even with the guidance of the ABCDEs, your eye is not professionally trained to identify all the forms of skin cancer. In addition to monthly at home skin exams, be sure to schedule your regular medical skin examination at least once a year. Examine the front and back of the body in front of a mirror, then closely examine each side of the body, lifting the arms to expose the underarm area. Examine the back of the neck and the scalp with a hand mirror. You may wish to use a blow dryer to move hair into sections across the scalp. Bend the elbows to look carefully at the forearms, back of the upper arms, and palms. Check hands and fingernails carefully. Check the back and buttocks with a hand mirror. Finally, look at the backs of the legs and feet. Check the spaces between the toes, the toenails, and the soles. You may wish to sit or use a stool to elevate each leg during this process. If you notice any new, different, changing, or suspicious, call a dermatologist for medical advice, and definitely bring it up at your next appointment. 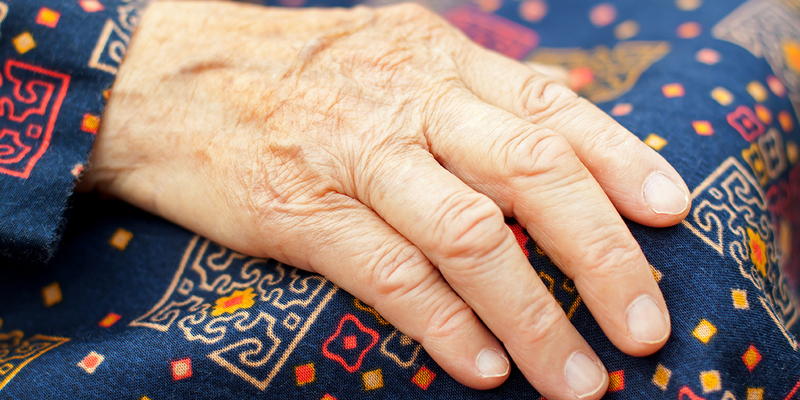 It is easy to forget at home health assessments as we juggle our busy schedules. Please remember that children and elderly family members also need at home skin exams. Help teach them what to look for and how to check for signs of skin cancer. Remember that children are not as diligent as some adults, and that the elderly may have poor vision, and may not be able to recognize new skin lesions. Offer assistance when possible, and help ensure that each family member visits the dermatologist for his or her annual skin exam. Click Here to view the American Academy of Dermatology's How to SPOT Skin Cancer Guide. If You Spot Something, Say Something. Skin changes should be monitored carefully. If you have found a sign of skin cancer during you monthly at home skin examination, contact a dermatologist to schedule an appointment.